my Ink well: Oh Snap! 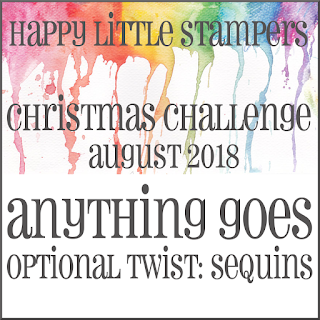 It's a new month and that means a new challenge at Happy Little Stampers Christmas Challenge! The twist for August is SEQUINS. I wanted to do the twist, so I decided to create a shaker card. I used a pre-cut winow card from my stash for my card base. I made a shaker pouch with my Fuse tool and filled it with Pretty Pink Christmas sequins from Little Things From Lucy's Cards. I then used the gingerbread cookie and a sentiment from Ellen Hutson's Tis The Season (retired) by Julie Ebersole to complete my card. The images and sentiments in this set just crack me up. 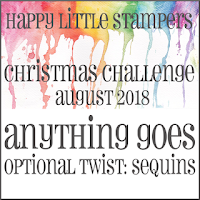 Please head over the to Happy Little Stampers August Christmas Challenge and see what the Design Team has created for your inspiration. Play with us for a chance to win a $20 coupon to spend at the Happy Little Stampers Shop! Check out all the details HERE. If you use stamps by Happy Little Stampers, and you are chosen as the Random Winner, your prize will be doubled! 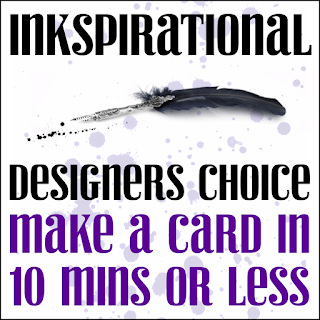 Inkspirational #166 - Designers Choice. 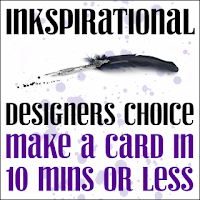 Make a card in 10 minutes or less. I made this card in 8 minutes and 37 seconds! Well, you've done it again with that fabulous stamp set Stephanie! I love your cute gingerbread man and the sequin selection in the shaker part is just so darn pretty. Very cute shaker card! Love the pink sequins, and that sentiment is perfect. 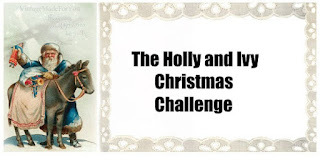 thank you for sharing with us at the 12 Months of Christmas Link-Up. Oh my stars! How cute is this shaker card (although I feel for the poor gingerbread cookie!). And under 10 minutes! WOW! So thrilled you shared this gem in the Inkspirational gallery! Love it! Great shaker card, Stephanie. I love that gingerbread man. What a fun card. The shaker elements are just gorgeous. 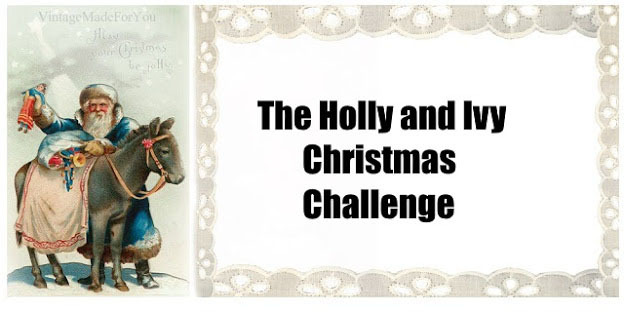 Thank you for joining in the Any christmas card with an optional twist of Add some greenery at 12 Months Of Christmas challenge blog. What an adorable card Stephanie! Love the little gingerbread cookie. And great idea to add the shaker. I love interactive cards. 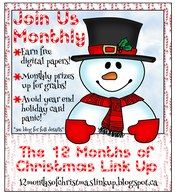 Thanks so much for joining us at 12 MOnths of Christmas Link Up. Hope to see you join the challenge again the in future.